Christian Giardini was born and raised in Lorain, Ohio attending St. Peter’s School and Church and high school in Amherst at Marion L. Steele. Christian received his college education at Ohio University obtaining a bachelor’s degree in business administration (BBA) with a focus in marketing and finance. In 2003, during his senior summer Christian interned with Northwestern Mutual and became a full-time financial advisor upon graduation. 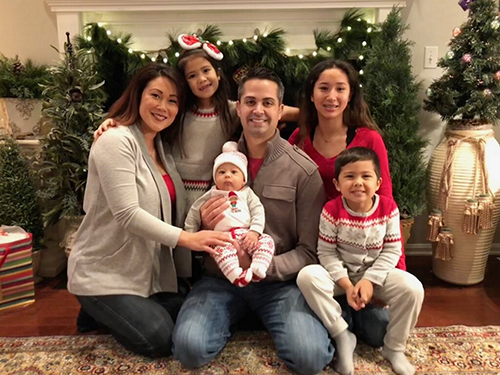 Christian and his wife, Mari, love spending quality time with their beautiful children, Mariana, Netalina, Enzio and Micah. Not pictured is their Black Lab mix, Luke, and their Persian cat, Kitten. A typical week is very active with events, sports and watching the babies grow! On the weekends it's time to relax, enjoying down time, light traveling and entertaining at their home in Westlake. The Giardini family is committed to service at their church and in their community, putting a high priority on their faith and making a difference where they can.